This is a very easy and fun paper craft for the kids and these flowers can make pretty decorations or be used in cards (as popped-up flowers) or as gifts. It can also be a great activity to improve the cutting skills of the little ones. 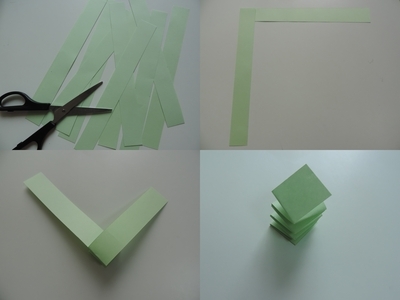 Firstly, to make the stem, cut the green A4 paper horizontally in paper strips of 2.5cm. Place one strip on another one and fold alternately until there is no more paper left. Trim the excess paper and glue the paper end with the double-sided tape. 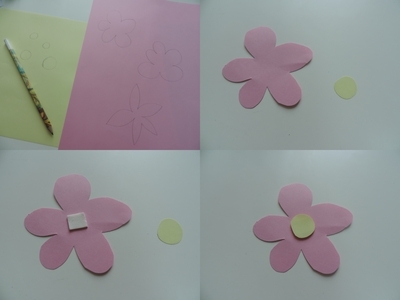 Secondly, to make the flowers, roughly draw flowers on papers and cut.Then glue the yellow cutting with the tape. Finally, put some tape on the stem and stick the flower to it to make the springy flower. thanks for sharing this Stephanie, it's lovely and creative.